Logan does it again! 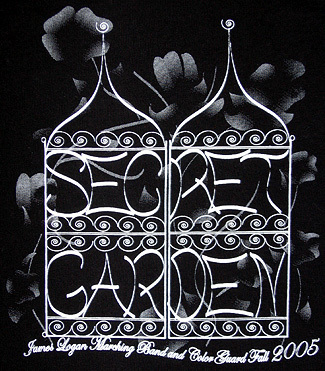 With a truly inspired performance of their show, "The Secret Garden," The Logan Band & Color Guard won top honors at the 2005 WBA Marching Band Championships on Saturday, November 19. This all day event features the very best in field show marching bands in the Western United States. 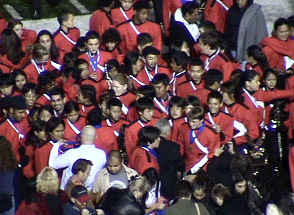 38 Class 1A/2A/3A bands and 27 Class 4A/5A bands competed at two different venues in Long Beach California. In the preliminaries on Saturday afternoon, with very narrow point margins separating the top 3 bands, Logan did manage to eek out the win but captured only one caption award, Best Auxiliary. Their performance was good but a bit lack luster, causing them to miss out on the other caption awards. Everyone was a bit surprised that we actually finished with high points overall, not having won best music and best visual effect. But finishing a close second in these categories was enough to nudge our overall point total over the top to secure the honor of performing last in finals competition. All of us, performers and parents alike, were a bit anxious during finals watching the other bands give some amazingly fine performances. The cool night air, the stadium lights and a packed house seemed to bring out the best in all the bands on Saturday evening. 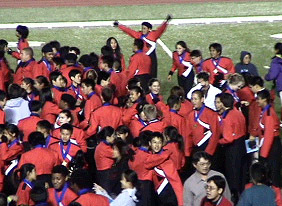 The bands looked better and better and the crowd cheered more and more enthusiastically as the evening progressed. Finally it was Logan's turn to "take the field in competition." Being the largest band and guard by far in competition, Logan looks quite impressive (maybe even a little intimidating) marching out into position on the field. Everyone knew something "big" was about to happen. This was the moment we had all been waiting for and from the very first note, Logan did not disappoint. The sound was huge, the music was alive, the rhythm was exact, the marching was precise and the guard was spectacular. Our band and guard performers saved their best for last and executed a stunning performance of their show. As the final chords rang out, the crowd jumped to their feet cheering in appreciation. During finals awards our Band and Guard performers were duly rewarded for their efforts by winning 4 of the 5 caption awards for Best Music, Best Visual Effect, Best General Effect (a tie with Upland HS) and Best Auxiliary. Best Percussion went to Clovis West but Logan percussion finished a very close second, only five tenths of a point behind. 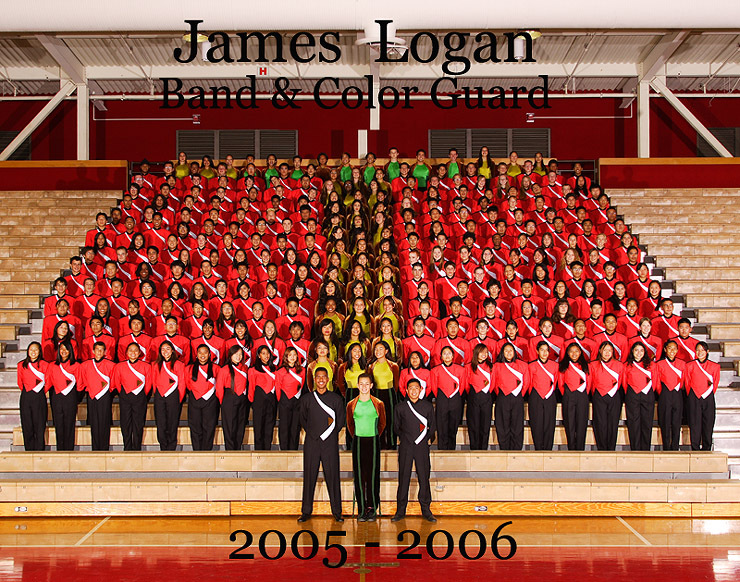 Overall high points of 96.25 went to Logan along with the title of 2005 Western Band Association Class 4A/5A Champions.